Unfortunately I have no wonderful updates for you guys. I haven't had time to do any makeup look, however I had my first ever Airbrushing class last night and I LOVE it. Second airbrushing class is next week so I can't wait! Anyway so instead sharing reviews or looks today I just wanted to share a photo. 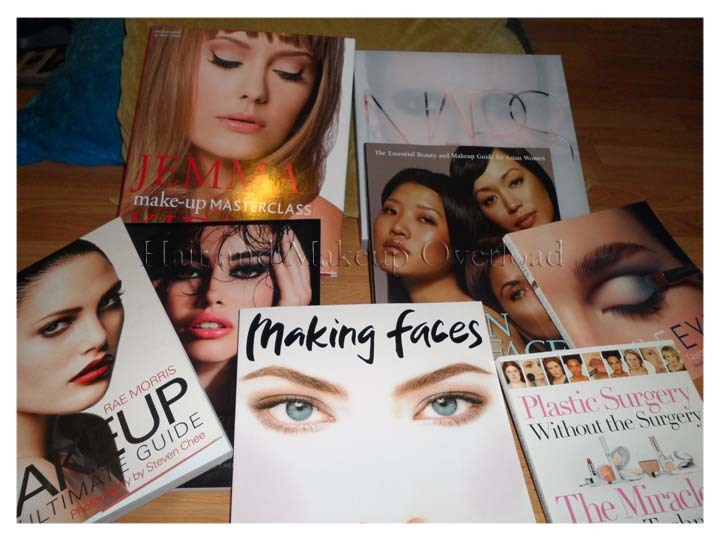 I can't believe how much my makeup book collection had grown and there are still so many books I want to buy. I love rea morrison books I also want the plastic surgery with out surgery book.. can you do a review of the books? @Starryskies214: Kevyn Aucoin is a genius!! @CopyCat: I love Rae Morris too! I couldn't beleive it when I found out she was actually an Australian Makeup Artist :) I have considered doing book reviews but thought if I would ever get the time to do them since they would generally take longer. @make-me up: Thanks for the award sweetie!